Initially designed as a peaceful vigil for victims of police brutality, the high-profile shootings of Michael Brown in Ferguson, Mo. and Ezell Ford in South L.A. turned Thursday’s National Moment of Silence into an outlet for anger. Crowds swelled in Leimert Park to voice their frustrations, just days after a LAPD officer shot and killed Ford, 25, a little less than 5 miles away from the gathering. Like Brown, Ford was also unarmed. A community activist known as Feminista Jones—whose real name is Michelle according to USA Today—was, like many, glued to the events unfolding in Ferguson, Missouri. She took inspiration from a planned vigil in New York to create an event called National Moment of Silence, popularized through its hashtag, #NMOS14. 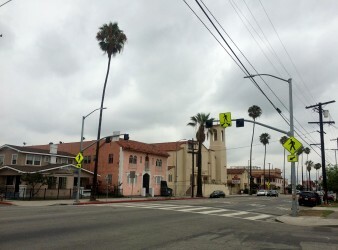 The L.A. gathering was held in Leimert Park, an area significant to African-Americans in South Los Angeles. People from outside the greater L.A. region also came to show their support, such as Joanna Lopez from the Inland Empire. Lopez came out for her 4-year-old son who is half-black and half-Latino. 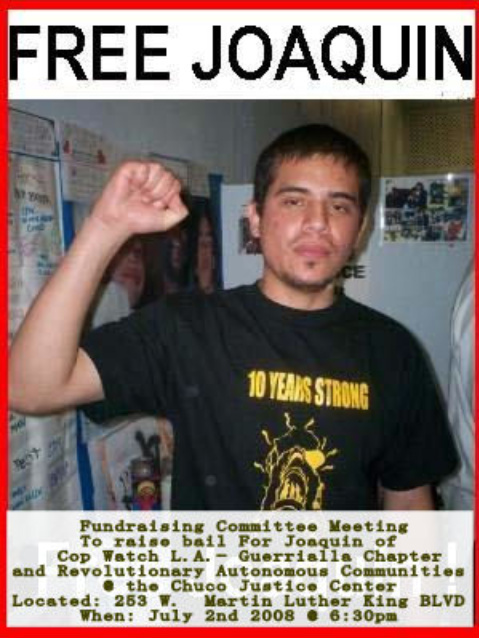 The gathering was led by citizens such as Najee Ali and members affiliated with Revcom, who gave speeches on police injustice against people of color throughout the country. When the group called for a moment of silence for victims of police brutality, the crowd raised their hands—a nod to Brown who, according to witnesses, was shot with his hands in the air. This prompted the crowd to march down Leimert. LAPD officers were nearby, and a drone even flew above the demonstrators, but authorities kept their distance. The vigil-tuned-protest caused some mixed feelings from Breanna Jordan, a teacher who came to honor one of her students who was shot, unarmed, by police last year. Others, such as Alphi Black, want to see more action taken in situations of transparent police brutality. Black is from St. Louis, Mo. and is temporarily living in Los Angeles. She came to Leimert Park because she wanted to give support even though she couldn’t be in St. Louis. For many people in the crowd, angry emotions stemmed from personal connections—such as Lopez’s fear for her son and Lewis’s childhood around Ferguson. The gratitude expressed by Deric Lewis, Michael Brown’s cousin, served as a reminder that the gathering was of a united community. Lewis even gave thanks to the media, who were initially slow to cover events in Ferguson until national outlets arrived on Tuesday. Beyond the anger, some people called for peace. Mir Harris took up a microphone to tell the crowd to be mindful of how they treat others in their daily conversations. Change, it was implied, starts with individuals showing respect to each other in their communities. 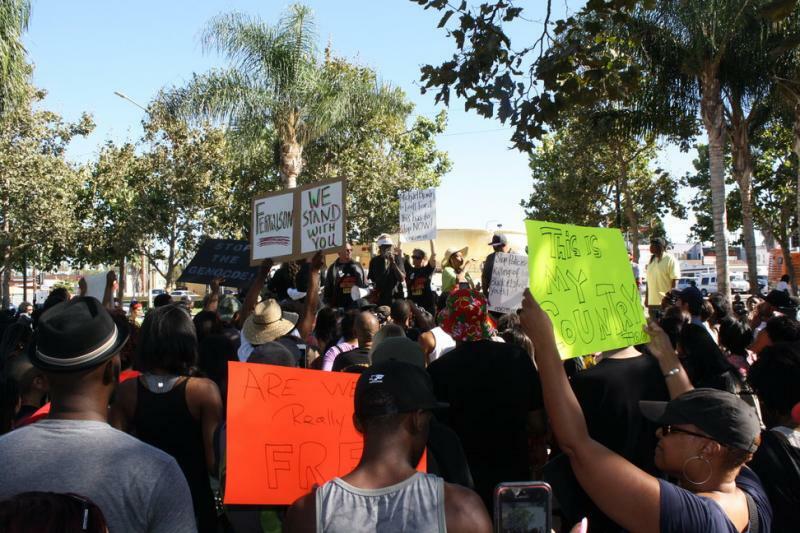 Though NMOS14 was supposed to be merely a vigil, the high emotions that ran in Leimert Park strengthened the ties between those from both inside and outside L.A., and hardened people’s resolve to support the people protesting in Ferguson against racial injustice and police brutality. The $1.2 million reward money put up for the ex-LADP officer Christopher Dorner may never actually make it into the hands of the citizens that helped with the manhunt. Click here to read more. 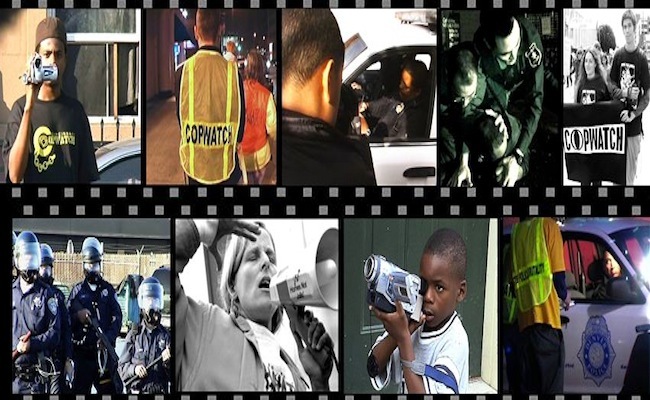 The Los Angeles Police Department (LAPD) has developed a reputation in the Los Angeles community and in the nation as one of the most brutal and corrupt police departments in the U.S., a reputation stemming from cases such as Rodney King and those involving the Rampart Division. For more of the story please click here. Los Angeles Police Department Chief Charlie Beck said Tuesday he was proud of the results from the second year of Save Our Streets, a three-month collaboration between South Los Angeles police officers and the FBI. This summer, the task force solved 50 murders, 85 percent of them gang-related. They included the Christmas Day shooting of Kashmier James ,who was killed in front of her 3-year-old daughter, and the killing later that week of Taburi Watson a 14-year-old boy riding his bicycle. LAPD Deputy Chief Pat Gannon said the program helped bring closure to families who otherwise might never find answers. That work includes nearly 1,000 more unsolved homicides, some dating back to 1978. South Los Angeles remains far from safe, as a deadly shooting Tuesday at Algin Sutton Park on Hoover Street illustrated. But Beck, and Stephen Martinez, the assistant director of the FBI in Los Angeles, worry that the program might not be renewed for another year. It relies on hundreds of thousands of dollars in federal funds to pay FBI agents and allow LAPD officers to work overtime, as well as to support an effort to digitize years of records. Gannon said the LAPD could use the help. Beck said he’s hoping for a decision on the funding within the next six months, so that the program could be re-instated for next summer. Police and FBI agents announced hundreds of arrests made as part of a three-month program called Save Our Streets. 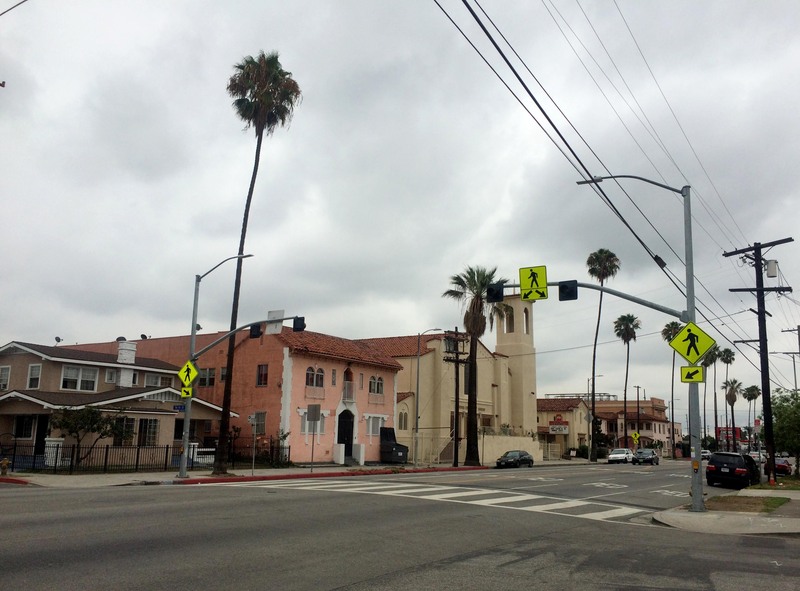 The program was designed to help overworked South Los Angeles police. On average, they resolve less than half of their gang cases. FBI Assistant Special Agent in Charge Robert Clark said unsolved murders can lead to a loss of faith in law enforcement. “All too often it’s the case when a family member is murdered, they don’t know what’s going to happen, they don’t understand the process,” he said. Clark said the Save Our Streets program solved more than 70 percent of its cases. That included an arrest in the murder of Kashmier James, a 25-year-old woman shot on Christmas in front of her young daughter. Law enforcement officials are touting the 168 arrests made since July, but they also acknowledge thousands of cases remain unsolved. Clark said he hopes the program will continue, but that the reduction in crime levels could make it less of a priority. The final decision lies with FBI and police management.